Royal Enfield showcased the all-new 650 cc parallel twin engine in November 2017. Continental GT 650 & Interceptor 650, were introduced a few days later. It is the First parallel-Twin and second all-new engine developed by Royal Enfield after the 410 cc motor which is powered on the Himalayan. 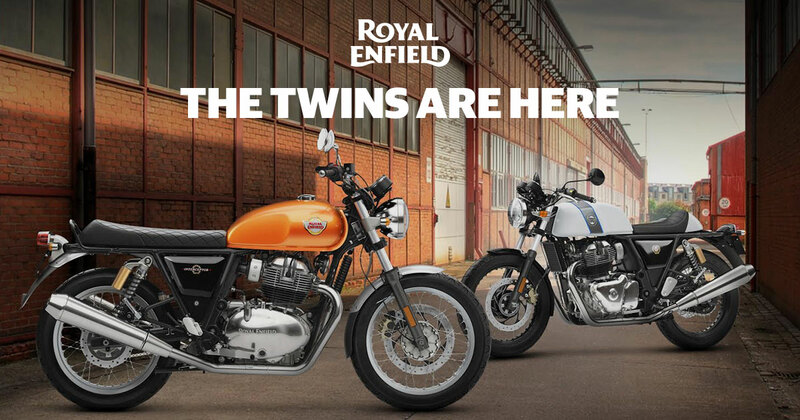 The 650 parallel twin models were supposed to launch around April 2018 in India. However, Royal Enfield announced the delay of these bikes. The report suggests, the company is solving production ramp-up issues and the official introduction has been pushed to July-September 2018. Meanwhile, Royal Enfield has made some minor modification on with Tuning of the upcoming bike. They have changed the earlier announced peak torque rpm of the motor from 4000 rpm to 5250 rpm now. The engine will now bring out the same 52 Nm of maximum torque at a higher 5250 rpm now. Power remains the same 47 bhp at 7100 rpm. Hopefully, the newly updated high bandwidth spec will come when the bike is launched in India. Moreover, The boss of Royal Enfield Siddharth Lal has already confirmed that there will be one spec of the motorcycle available all over the world.